Ok, honest truth here. I had no idea what to call this thing. Plaque art? That sounds like some kind of dental work art. State art? 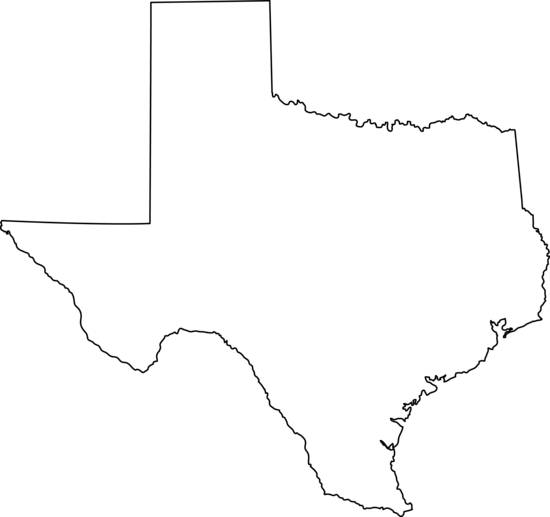 But it could be way more than for a state, like I did. So I just went with silhouette. It works, right?! This is an easy last minute, DIY gift idea if you need one for Christmas. I am actually planning on making another one with a totally different feel, different shape and no glitter. Hopefully I have time to do it! So this particular version I made for my little sister. 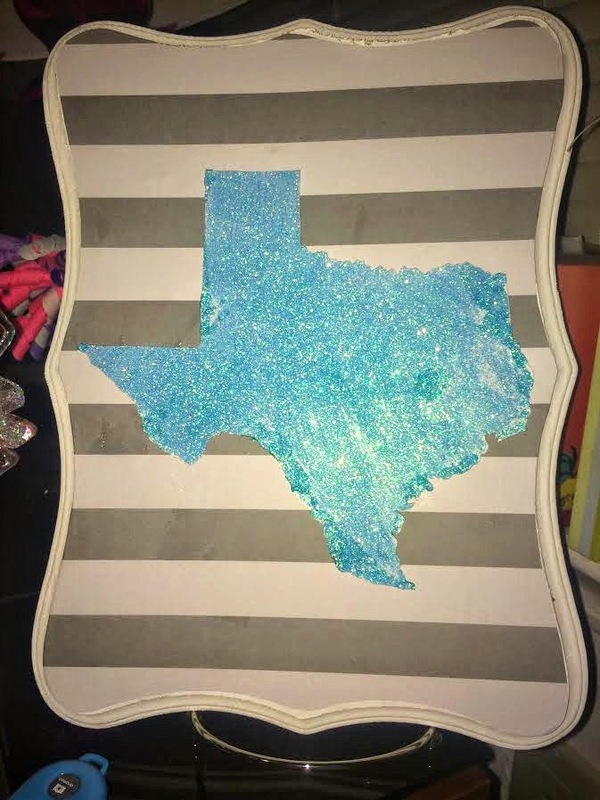 She lives in Texas (obviously), and is getting ready to do a big room re-do so I thought this would be a cute detail in her room. We just stood it up on a plate stand. Ok, before you get started on the actual craft part, you need to print out whatever shape you are using. I love using this site because you can edit the images, but you can also google "xyz silhouette" and find a free image to use. For another one I'm doing, I am using an animal printed out in the color I want and skipping the glitter altogether. For this one, I flipped the image in word so that the lines would be on the back since I was printing on white card stock and I knew all of those little border details I wouldn't be able to do exact! The other one I just printed as is since I'm not doing glitter, and it was in a dark color. Onto the craft part. 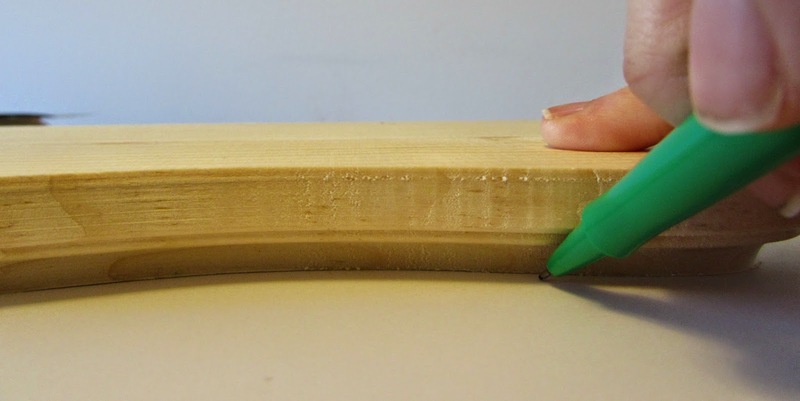 First, you will want to paint the edges of the plaque. Don't worry about it being perfect because you will cover up most of it with the paper. Next you are going to want to trace the shape of your plaque onto the scrapbook paper. I couldn't think of a better way to do this, so I used a fine tip pen to get under to the edges of the plaque. 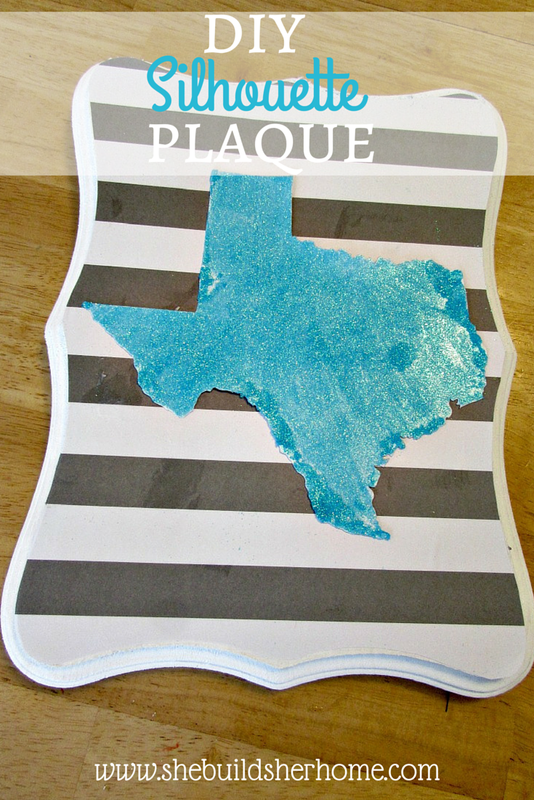 Cut the paper out, line it up on the plaque and mod podge/glue onto the plaque. Cut out your shape if you haven't already. If you are just leaving it as is, go ahead and put it where you want on the plaque and mod podge it on there! If you are glittering it, give the silhouette a good layer of mod podge and shake glitter on. I just put it on top of foil and then when I was done, dumped the excess glitter (like half) back in the container. After it has dried, you can dab on more glue and glitter with a q tip but it is hard to make it even and I didn't do great in some spots. After it is all dried up (I put on a layer of spray adhesive on top of the glitter so it doesn't get everywhere), mod podge the silhouette onto the scrapbook papered plaque and you are done! Here it is on my sister's night stand. Thanks for the photo, Lili!